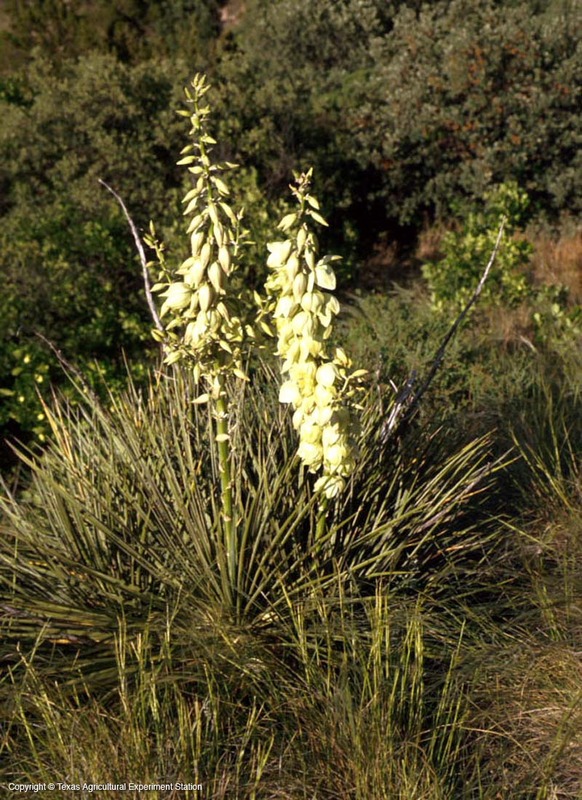 Small soapweed yucca is thinly scattered on the rolling, well drained grasslands in the Texas Panhandle, moving as far north as North Dakota and Wyoming. This asymmetrical, usually stemless yucca with rather small rosettes has bluish green or pale green glaucous leaves with white margins. It occurs in a number of different forms: with broad leaves, with slender leaves, with many downward hanging fibers, and almost without any such. The fragrant flowers open from the base upward and it may repeat flowering in the same growing season. 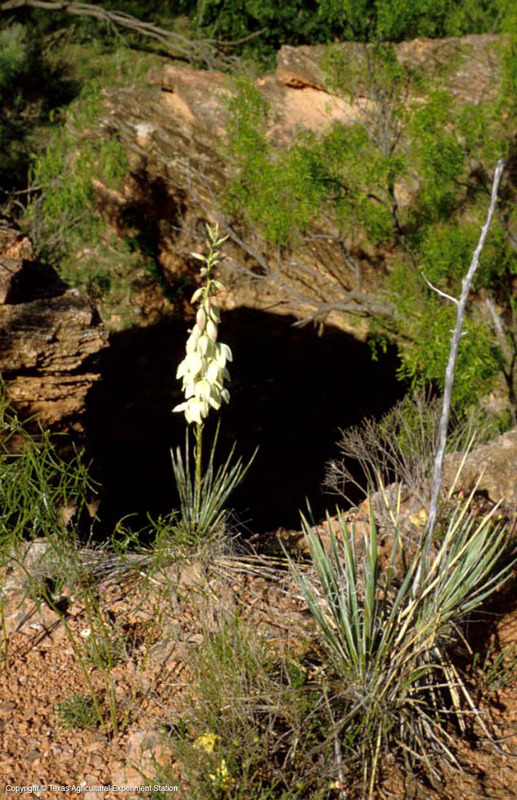 It grows well in compacted or caliche soils. When pounded with a mallet, the short crowns or roots produce a foaming soap substitute which was used by Native Americans and Western European pioneers alike. Glauca refers to the glaucous appearance of the leaves: they are covered with a white, waxy bloom.